More than 500,000 people on average use Tokyo Station every day. Handling express trains to Narita International Airport, bullet trains to destinations around Honshu and myriad regional commuter lines, it is one of the busiest stations in the country based on the number of trains that arrive and depart each day. Given its location at the heart of the nation’s capital, perhaps this isn’t altogether surprising. Situated a short walk from Nihonbashi, the station faces the Imperial Palace to the west, and is connected to the Emperor’s residence by a short road that leads directly to the center of the terminal. 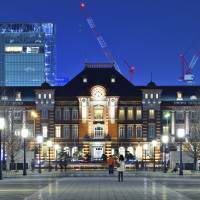 Tokyo Station has certainly witnessed a turbulent history, surviving the Great Kanto Earthquake of 1923 and two world wars as well as celebrating a successful Olympic Games and the launch of the country’s first shinkansen. On Dec. 20, the “gateway to the capital” commemorates another milestone — its 100th anniversary. 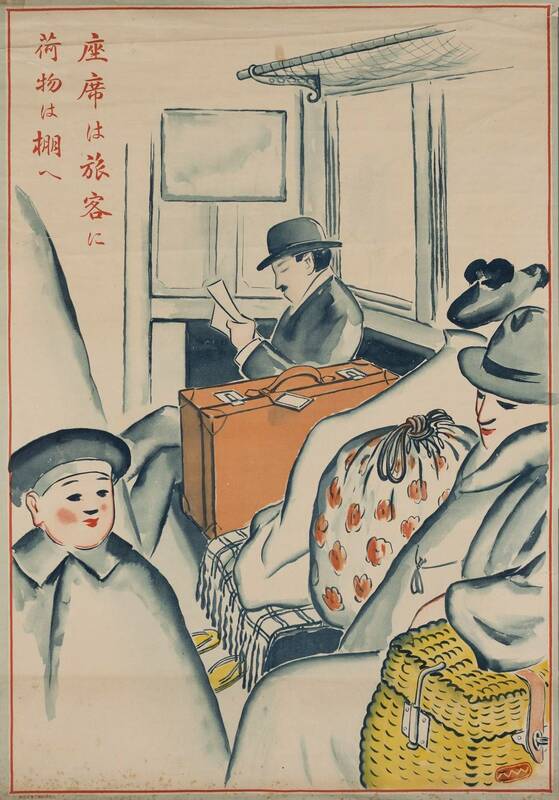 Japan’s rail history dates back to 1872, when the country’s first railway line was constructed between Shinbashi and Yokohama in a bid to give Tokyo access to the port facilities located farther south. The government gradually expanded the network and opened Ueno Station in 1883 to service areas in Saitama Prefecture such as Kumagaya, which subsequently enabled a connection to be developed to the Tohoku region. West of the Imperial Palace, meanwhile, the government opened Shibuya and Shinjuku stations on the same day — March 1, 1885. Tatsuno spent eight years designing the station and, although he kept Baltzer’s original main structure, he drastically changed the design. The government’s meager contribution to the development project forced him to limit the height of the building to a single story. 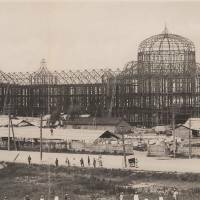 After the country defeated Russian forces in the Russo-Japanese War in 1905, the government increased its funding to the project, allowing Tatsuno to construct a three-story facility with rooftop domes and a central exit specifically for the Imperial family. Fortuitously, Tokyo Station survived the 7.9-magnitude Great Kanto Earthquake with surprisingly little damage. Its good fortune didn’t last, however, and much of the terminal was damaged in a fire-bombing raid by U.S. forces on May 25, 1945. The bombing destroyed the original rooftop domes and the entire third floor. In spite of the damage, trains were able to use parts of the station within two days of the raid. By 1947, the station’s rooftop domes had been replaced by octagon-shaped roofs. Instead, the design lasted another 60 years. For decades, opinion was divided over the “temporary” state of Tokyo Station between those who wanted to build a brand new skyscraper over the terminal and those who wanted to return the historic landmark to its original structure. 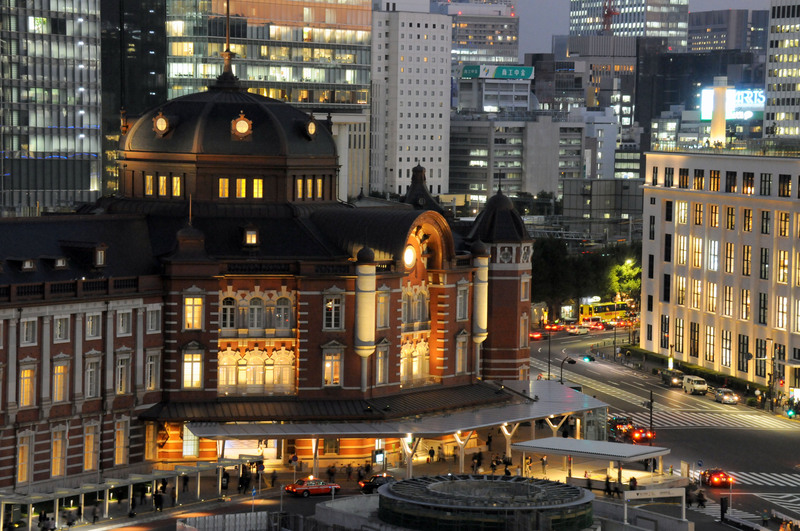 Ultimately, the voices of those who wanted to protect the original building prevailed and Tokyo Station was designated as an Important Cultural Asset in 2003. But recreating something that was designed 100 years ago is not easy, says architect Shiro Ouchida, an associate professor at Kogakuin University’s School of Architecture in Tokyo’s Shinjuku Ward. Until earlier this year, Ouchida was an employee with East Japan Railway Co., which oversaw the station’s renovation. Playing a central role in the revival project, Ouchida was involved in the redevelopment of the station for more than 11 years. Although developers had 100 original construction blueprints to work with, a number of key parts were still missing, especially around the central entrance. To fill in these blanks, Ouchida visited other Meiji Era buildings that had been created by Tatsuno. The architect made several trips to the former Kyoto branch of the Bank of Japan and the former Nippon Life Insurance Co. building in Fukuoka Prefecture, where he studied and measured the designs right down to the smallest detail, including the joineries on the windows. The renovation of Tokyo Station began in 2007 and was completed in 2012. However, the high volume of passengers passing through the terminal each day meant that certain areas could only be worked on once the station had closed for the evening, Ouchida says. Working from 1 a.m. to 4 a.m., construction crews were only able to do an hour or two each night once prep and cleanup times had been accounted for. Most of Tokyo Station’s main building was kept as it was, but the project restored the north- and south-end rotundas and also revived the missing third floor. The rotundas retain their original look, comprising octagonal corners with plaster reliefs shaped after an eagle, a flower, a phoenix, a sword and animals of the Chinese zodiac. 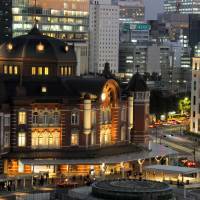 The Marunouchi side’s century-old red-brick and stone facade has also been restored. While much of the redevelopment has focused on restoring the station back to its former glory, a few modern features were added to the designs. For one, a new seismic base-isolation system has been included in the foundations of the station — installed two stories underground to absorb earthquakes and prevent the building from collapsing. “Of course it is hard to say with natural disasters but, basically, the building has been renovated to last forever,” Ouchida says. And now, just days away from its 100th anniversary, Tokyo Station on the Marunouchi side appears as magnificent as it did a century ago. The renovations have turned the station from a terminal that people would merely use as a transit point into a major tourism spot, attracting people from all over Tokyo, Japan and abroad. 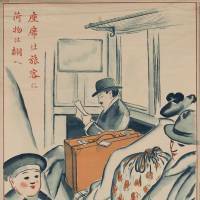 These days, people come to the station for sightseeing, shopping or leisure. This notable change in users’ behavior is just the beginning, says Masaaki Kawamata, manager of the Tokyo Station City Management section at JR East. The project has created “the only station in the world that has integrated history, tradition, culture, academia, business and advanced technology.” It has not only renovated the historical red-brick building, but also the Yaesu side on the opposite side of the terminal. The station has already begun working with Nihonbashi district authorities, creating a tourist map of various shops and historical sites nearby. Kawamata says the project team is looking to expand collaborative efforts to other neighboring districts such as Ginza and Yurakucho. Tokyo Station is hosting a number of promotional events to celebrate its 100th birthday, including special limited editions of sweets, bento lunch boxes and memorabilia, and exhibitions. An illumination show titled “Tokyo Colors” began this month in collaboration with Rhizomatiks, a team specializing in interactive digital installations. Fitted along the Gran Roof walkway, the lights are designed to “react” to the wind. More than 3,000 LED sticks have been installed along the walkway, allowing passers-by to “see” the wind as it flickers across the path. Tokyo Station opened 100 years ago with just four platforms in operation that serviced about 4,600 passengers a day. Today, more than 4,000 trains arrive and depart from the station on a daily basis, making it one of the busiest stations nationwide. 2. Two assassination attempts on prime ministers have been carried out at Tokyo Station. Takashi Hara was stabbed to death in front of the south exit in 1921, while Osachi Hamaguchi was gunned down on the platform of the express train to Tsubame in 1930, dying from his wounds the following year. 4. About 740,000 people helped build Tokyo Station in 1914. The recent renovation involved about 780,000 people. 5. The whole floor space of Tokyo Station is 182,000 sq. meters, or 3.6 times the size of Tokyo Dome. 6. Only two stations are currently operating that are designated as Important Cultural Assets: Tokyo Station and Mojiko Station in Fukuoka Prefecture. 7. Before its renovation, Tokyo Station was protected from damage during earthquakes by 11,050 larch poles of 21 cm in diameter that were between 3.6 to 7.2 meters in length. 8. Only eight of the 12 zodiac animals are displayed in Tokyo Station’s domes. The rest of the animals can be found on the second floor of a gate in Saga Prefecture at Takeo Onsen hot spring, which was also created by Kingo Tatsuno. 9. In 2013, Tokyo Station overtook Shibuya Station to handle the third-highest number of passengers after Shinjuku and Ikebukuro, according to JR East. 10. About 8 million bricks were used to build Tokyo Station.